Fred Eshelman is the founder of Eshelman Ventures LLC, an investment company primarily interested in private healthcare companies. He often serves on the boards of portfolio companies. Previously he founded and served as CEO and Executive Chairman of Pharmaceutical Product Development (PPDI, NASDAQ) prior to the sale of the company to private equity interests. After PPD he served as Founding Chairman and largest shareholder of Furiex Pharmaceuticals (FURX, NASDAQ), a company which licensed and rapidly developed new medicines. Furiex was sold to Forest Labs/Actavis in July, 2014. He was previously Chairman of The Medicines Company (MDCO, NASDAQ), and served on the board of Valeant Pharmaceuticals (VRX). His career has also included positions as senior vice president (development) and board member of the former Glaxo, Inc., as well as various management positions with Beecham Laboratories and Boehringer Mannheim Pharmaceuticals. Eshelman has served on the executive committee of the Medical Foundation of North Carolina, was on the Board of Trustees for UNC-W and in 2011 was appointed by the NC General Assembly to serve on the Board of Governors for the state's multi-campus university system as well as the NC Biotechnology Center. In addition, he chairs the board of visitors for the School of Pharmacy at UNC-CH, which was recently named the number one pharmacy school in the US. In May 2008 the school was named the UNC Eshelman School of Pharmacy in recognition of his many contributions to the school and the profession. 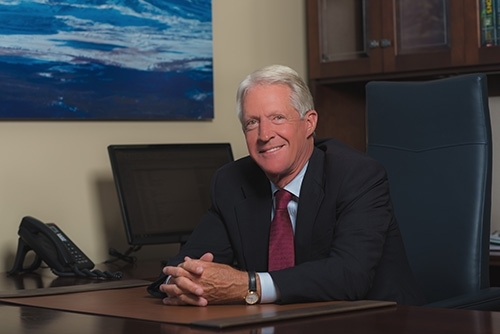 Eshelman has received many awards including the Davie and Distinguished Service Awards from UNC and Outstanding Alumnus from both the UNC and University of Cincinnati schools of pharmacy, as well as the NC Entrepreneur Hall of Fame Award and the NC business hall of fame. He received the doctor of pharmacy from the University of Cincinnati, completed a residency at Cincinnati General Hospital and a BS in pharmacy from UNC-CH. He completed the OPM program at Harvard Business School. In 2017 he received a D.Sc. (h) from UNC-CH.